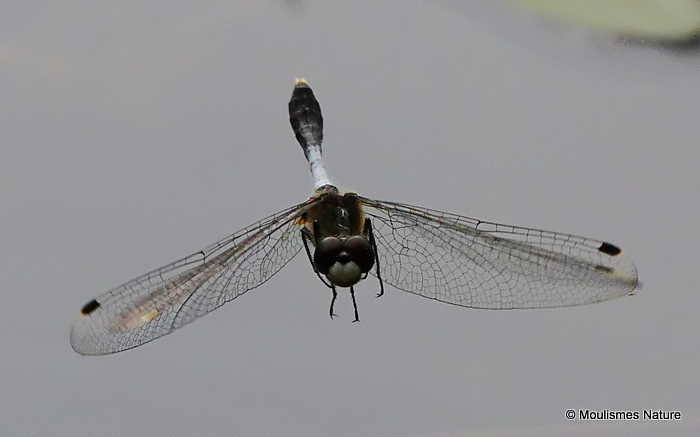 Of the 100 or so odonata species that occur in France, 60 species have been recorded in the Vienne, and 64 in the departement Indre, covering the Brenne. 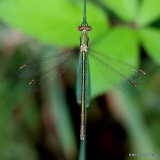 Most of these species can be seen easily at etangs and rivers with free public access, although some have more specific habitat requirements. It is not unusual to find over 20 species around a single, well-established etang. Again, use of IGN large-scale 1:25 000 mapping usually pays dividends. The best months for watching are June and July. All the species listed below, photographed locally. Observational notes added to each to aid identification; these come from the reference sources, plus any notes of my own. Normally they're a summary of diagnostic points that can be seen in the photograph. List of odonata species observed in the southern Vienne/Brenne since our arrival in January 2006.. The abundance guide may help if you live or are staying in the general area. It is based only on my observations since January 2006, and may or may not reflect the true status within the area. English BDS names are used, 'alternative' names (where they exist) as proposed by K-D B Dijkstra are in yellow.